Bookmark this page to check back on Sundays to review the latest developments and progress. Questions or comments...? Click HERE to send an e-mail to Ernest Farino. 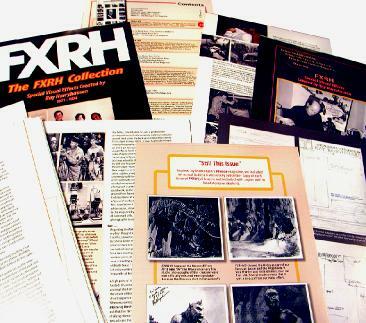 Click HERE to return to The FXRH Collection main page. LATEST DEVELOPMENTS . . .
August 13, 2012 . . . The 1970’s was a golden era for fan-produced fantasy film magazines. You could still delve into the fannish mindset with mimeo and ditto ‘zines. But offset and professionally-produced publications were taking hold. It was a period when fans who would become noted filmmakers themselves came to the forefront. issues from 1971 to 1974 (issue #1 sold 300 copies, and by #4, they were selling 6,000!). 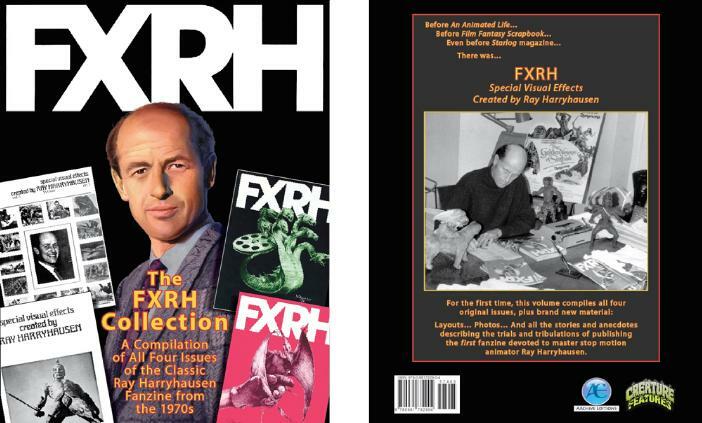 Cinefantastique was new on the scene, from 1970, but there was no other magazine that you could compare FXRH to. 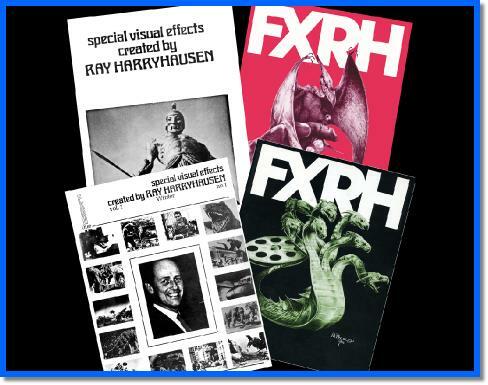 Wonderfully laid out and full of in-depth articles on Harryhausen’s films and effects work. Not to mention plenty of interviews with Ray, his producer Charles Schneer and stars such as Kerwin Mathews (interviewed by future Star Wars lead, Mark Hamill – they were working on a television soap opera together). Well, as they said – "Let’s Do A Magazine!!" And, boy, did they succeed!! Ernie and Sam literally kept everything from the design and evolution of each issue. Hand-written pages, layout sheets (the good old cut, glue and paste method), letters back and forth – if it involved getting the issue together, they have paperwork on it (sadly, most of LSoH’s paperwork went in various dumpsters during one of my many moves).